The University of Pittsburgh at Bradford has been named a College of Distinction for the fourth time by the Colleges of Distinction website and e-guidebook. 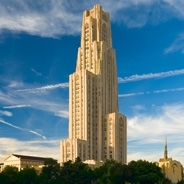 Pitt–Bradford received further program-specific recognition in education, nursing and business. Colleges of Distinction highlighted Pitt–Bradford’s real-world learning opportunities, such as monitoring stream health in the Allegheny National Forest. Groundbreaking facilities, including the Crime Scene Investigation House, were also cited, as were opportunities that offer students leadership experience through campus activities. In program-specific recognitions, Colleges of Distinction recognized Pitt–Bradford’s education program for its use of an enriching liberal arts perspective, as well as its nursing programs for hands-on learning opportunities. 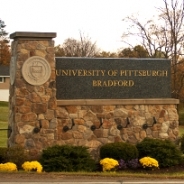 Pitt–Bradford was also recognized for cultural activities including author events, student and faculty theater productions and career-networking opportunities. The Family Medicine Interest Group at the University of Pittsburgh School of Medicine received the 2018 Award of Excellence for Innovative Programming at the American Academy of Family Physicians (AAFP) National Conference in Kansas City in early August. 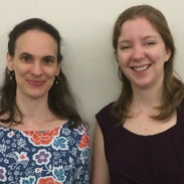 Elise Pearson (left) and Sarah Minney (right), both members of the Pitt School of Medicine’s Class of 2020, accepted the award on behalf of the group, which promotes advocacy, service and education regarding current issues in family medicine. Both are coordinators for the group. 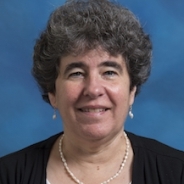 Diane Litman, director of the Intelligent Systems Program, professor in the University of Pittsburgh’s School of Computing and Information and senior scientist at the Learning Research and Development Center (LRDC), has been awarded a research grant from the Institute of Education Sciences to study undergraduate STEM education. With colleagues Muhsin Menekse and Ala Samarapungavan of Purdue University, Litman will pursue research titled “Enhancing Undergraduate STEM Education by Integrating Mobile Learning Technologies with Natural Language Processing.” In this project, the researchers will use the mobile application CourseMIRROR in large science, technology, engineering and math (STEM) lectures to monitor student engagement and the effect of feedback on learning. Developed by researchers at LRDC, CourseMIRROR is a mobile application that prompts students to reflect on their learning in the classroom. It also provides immediate and continuous feedback to instructors about the difficulties that their students encounter, providing insight to instructors on what was and was not learned. This grant is under the program Postsecondary and Adult Education, which strives to support research for the betterment of student education at both the college level and in adult education programs. Andrew Aukerman spent the summer researching at the world’s largest particle physics lab with the ThinkSwiss Scholarship. He conducted research with the ATLAS experiment at CERN, the European Organization for Nuclear Research, in Geneva, Switzerland. His project focused on particles called Higgsinos, the theorized super-partners to the Higgs boson. He also conducted archival research at the CERN library to investigate the impact that CERN has had on regional and global politics. Auckerman is a senior double majoring in physics and history and philosophy of science. The University of Pittsburgh School of Health and Rehabilitation Sciences (SHRS) has named Bernard Rousseau as the new chair of the Department of Communication Science and Disorders. He will officially assume his position on Sept. 1, 2018. Rousseau joins Pitt from Vanderbilt University Medical Center, where he most recently served as associate vice chair for research and director of the Laryngeal Biology Laboratory, and as chancellor faculty fellow and associate professor of otolaryngology, hearing and speech sciences and mechanical engineering. Two National Institutes of Health (NIH)-funded research projects are coming to Pitt with Rousseau, along with a majority of his research team from Vanderbilt. 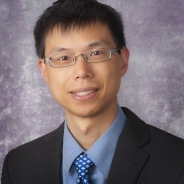 The first project focuses on improving outcomes for patients with unilateral vocal fold paralysis through innovative technology designed to improve pre-operative surgical planning. The second project seeks to determine the safety and efficacy of treatments for voice disorders. 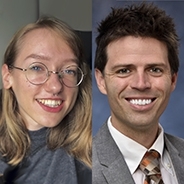 Five University of Pittsburgh students and alumni have been named 2018 Critical Language Scholars, an overseas intensive language instruction and structured cultural enrichment program designed to promote rapid language gains. Joseph Acevedo, a Marine Corps veteran and junior majoring in Russian and Economics and minoring in Chinese with certificates in Russian and East European Studies and Asian Studies, will study Hindi in Jaipur, India. Michael Andrews, a junior majoring in Finance and Supply Chain Management and minoring in Chinese, will study Mandarin in Dalian, China. 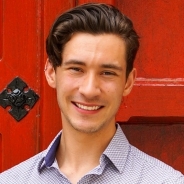 Matt Eskuchen, a current Boren Scholar in China, this August will receive a Bachelor of Science in Biological Sciences, a Chemistry minor; and a Conceptual Foundations of Medicine certificate. He will study Mandarin in Tainan, Taiwan. Brandon Yee, a senior majoring in Chinese with a certificate in Asian Studies, is studying Mandarin in Tainan, Taiwan. The Critical Language Scholarship is a program of the United States Department of State’s Bureau of Educational and Cultural Affairs. Physical therapy students at the University of Pittsburgh took first place in the 2017-2018 Mercer-Marquette Challenge by raising $50,552 for the Foundation for Physical Therapy. They also earned the title of "Leaders Society" for bringing the University’s total donations to more than $600,000 over the last 30 years. Students from Pitt’s Department of Physical Therapy, which is part of the School of Health and Rehabilitation Sciences, have won the challenge 15 times in its 30-year history. The money raised in the annual challenge helps fund scholarships and grants that advance patient care. The challenge also supports the rigorous scientific review process for all foundation grants and scholarships. See a photo of the team. Pitt’s BYO[Bag] reusable shopping bag program is among the impactful initiatives highlighted in the Association for the Advancement of Sustainability in Higher Education (AASHE) 2018 Sustainable Campus Index. To encourage use of reusable bags at Pitt, after the first two weeks of each term, students pay 25 cents for a plastic bag at campus dining or bookstore locations. 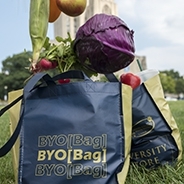 Half the proceeds from the fee and from sales of BYO[Bag] reusable bags go to the Pitt Green Fund to support other sustainability initiatives. The program, one of many Pitt dining sustainability initiatives, has cut the number of plastic bags used at campus dining locations and book stores by 98 percent — from 30,000 per week to about 600 per week, said Nick Goodfellow, sustainability coordinator for Sodexo Dining Services at Pitt. That’s more than 1.3 million bags saved and nearly $6,500 raised for the Pitt Green Fund since BYO[Bag] launched in 2014. The AASHE Sustainable Campus Index recognizes top-performing colleges and universities in 17 sustainability impact areas, as measured by the Sustainability Tracking, Assessment & Rating System (STARS), and highlights innovative and high-impact initiatives from STARS institutions. Pitt achieved a STARS Silver rating its first-ever STARS submission this year. 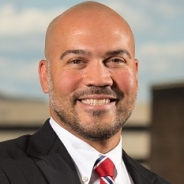 Kirk Holbrook has been named director of the University of Pittsburgh’s Hill District Community Engagement Center (CEC). Pitt’s first CEC, directed by Daren Ellerbee, is set to open in Homewood in September. Pitt’s next CEC, the Hill District center, is expected to open in 2019. Holbrook, a resident of the Hill District, most recently was chief of staff in the district office of State Representative Jake Wheatley. 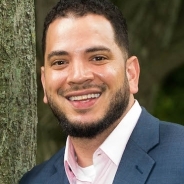 He previously was a community organizer for A+ Schools and program director for the Hill House Association. 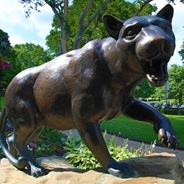 Pitt’s CECs, announced in 2016 as an initiative of the Senior Vice Chancellor for Engagement’s office, aim to strengthen communities by coordinating University activities already underway and building alliances within city neighborhoods that are eager to partner with Pitt. The CECs are guided by an internal advisory council and neighborhood advisory councils. 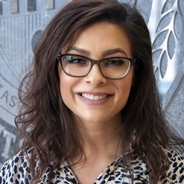 Jennifer Pruskowski, assistant professor in the Department of Pharmacy and Therapeutics at Pitt’s School of Pharmacy, is the recipient of the American College of Clinical Pharmacy’s 2018 New Clinical Practitioner Award. 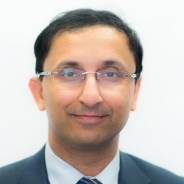 This annual award recognizes a member who has made outstanding contributions to the health of patients and to the practice of clinical pharmacy. The award is given to those who are less than six years past completion of their pharmacy training. 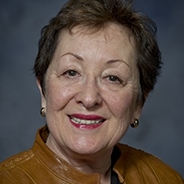 Pruskowski’s research interests include education of effective and safe use of medication for palliative care patients, development of institute-wide, evidence-based pain and symptom management treatment algorithms, management of delirium at the end of life and refractory pain, and the role of pharmacists on the improvement of health-related functions and quality of life for palliative care patients. The Hesselbein Global Academy for Student Leadership and Civic Engagement brought students from 15 countries to Pittsburgh for a four-day Student Leadership Summit in July. Delegates participated in workshops, service projects, attended lectures and dined with local Pittsburgh leaders in every sector. Over its history, student leaders from 72 countries have participated. Tapping an alumni network of nearly 500, the Hesselbein Global Academy also welcomed back speakers and mentors to inspire this year’s cohort. Luis Miranda, a 2012 participant, spoke about his struggles and triumphs in international peace keeping efforts, specifically with the Colombian peace process. Aster Teclay, a 2009 participant and a 2010 graduate of the University of Pittsburgh, stressed the importance of self-belief. 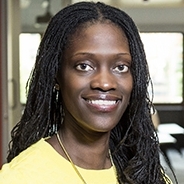 “If your actions inspire others to learn more, become more, you are a leader,” said Teclay, senior project manager at the Housing Authority of the City of Pittsburgh. 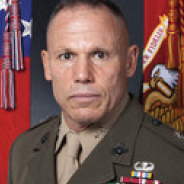 Major General Randall Fullhart, Commandant of the Corps of Cadets at Virginia Polytechnic Institute and State University, was honored this year for being a Hesselbein Global Academy mentor for all 10 years of the program’s existence. 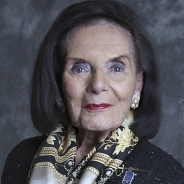 Pitt launched the Hesselbein Global Academy as a way of honoring the legacy of Frances Hesselbein (pictured), one of the most highly respected experts in the field of leadership development. 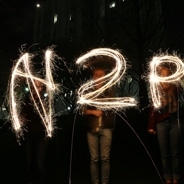 For more about this year’s event, visit the Student Affairs website or watch a recap. School of Medicine faculty member Joseph Glorioso is among the recipients of a 2018 Alliance for Cancer Gene Therapy research grant. Glorioso and University of Pennsylvania microbiology professor Gary H. Cohen will share a $500,000, two-year grant to advance a vaccine for melanoma. 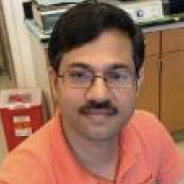 Their research builds on previously successful results using a tumor-targeted, actively replicating herpes virus to infiltrate cancers and stimulate an immune system assault. Glorioso calls the methodology a “heat-seeking missile that targets metastatic cancer for destruction.” Once the cancer is eliminated, the vaccine inserts an immunity barrier to protect against recurrence. Melanoma is among the most deadly cancers and this treatment offers new hope. 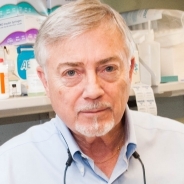 Glorioso, who founded the Pitt medical school’s Department of Microbiology and Molecular Genetics in 1989, is a pioneer in the design and application of herpes simplex virus gene vectors.